Billy Garcia was one of the presenters at the Pedalando No Topo event in Brazil, and was with Jim Karanas when he had his heart attack. He heard his last words, and he uttered the last words Jim was to hear. I cannot even imagine what it must have felt like to Billy to lose his good friend. Those words that Billy told Jim are priceless: Angela loves you! 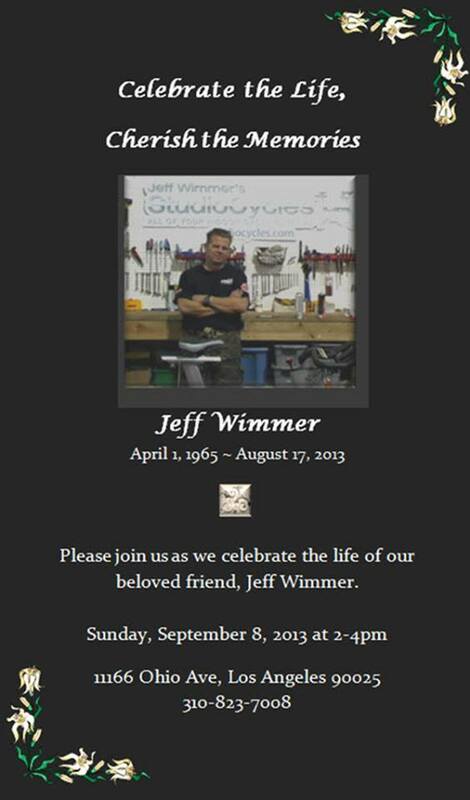 If you are in California and would like to attend the memorial for Jeff Wimmer, here is the information. If you haven’t read about Jeff’s passing, you can do so here. RIP Jeff! 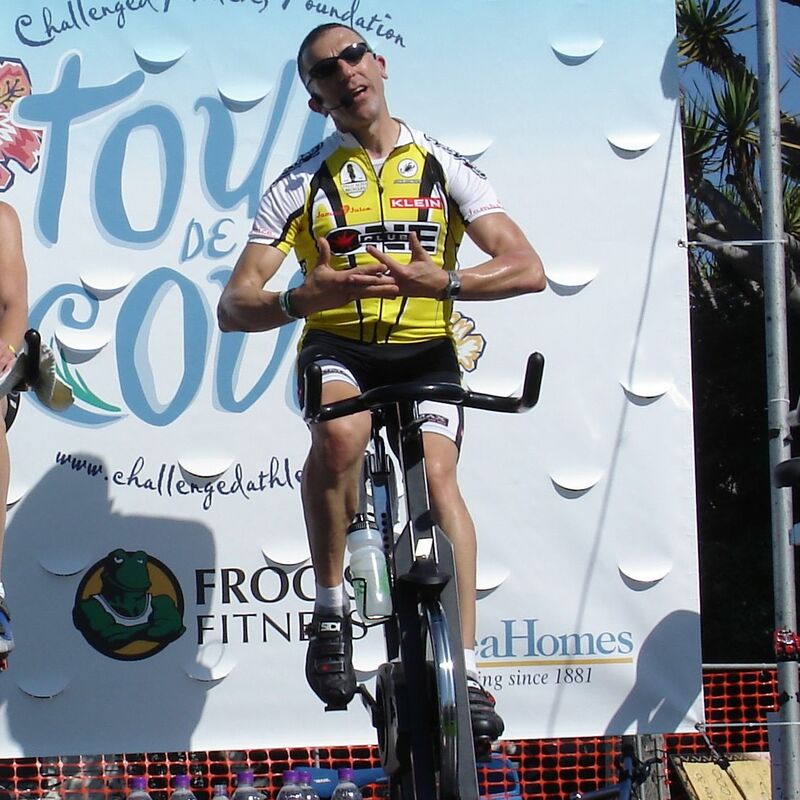 The indoor cycling community is reeling yet again from another very sad loss this week. Jim Karanas, director of education and training for the Indoor Cycling Group, passed away in Brazil yesterday. He was there to be a part of a huge indoor cycling event. Bryon Black, ICA contributor, knew Jim for many years as a mentor and friend. Below is Bryon’s heart-warming tribute to Jim Karanas. This has been an incredibly tough week for the the Spinning® and indoor cycling community with the loss of two iconic individuals. I’m so so saddened by the news of the passing of Jeff Wimmer today. The indoor cycling industry will not be the same without him. 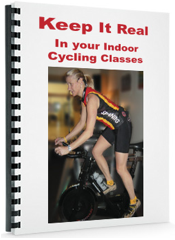 If you are a Spinning® (or any indoor cycling program) instructor, even if you never heard of Jeff, you most likely benefitted in some way from his expertise. He knew more about every kind of bike in this industry than anyone else…in the world! He lovingly assembled and repaired more bikes than anyone in the world. He wrote the book (literally) on how to maintain these bikes (your club might have his book on hand in their maintenance department). He taught instructors at WSSC and other conferences how to take the BEST care of their bikes. Kellen Winslow is a professional football player, currently for the New York Jets, and formerly for a variety of teams. A motorcycle accident almost ruined his career back in 2005 with an ACL tear and staph infection. 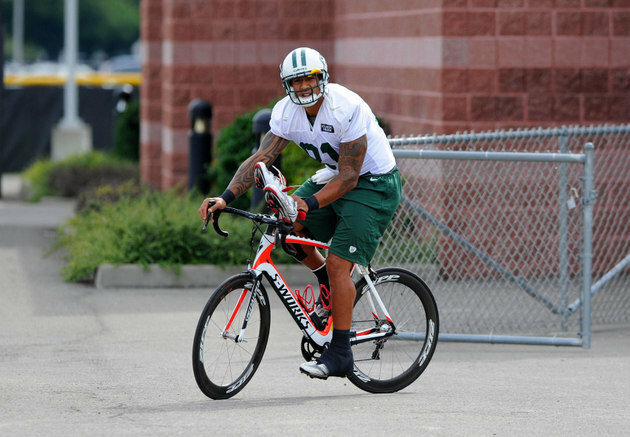 Now, to keep himself in shape during the off-season, and even in-season, he rides a bike. A 240 pound football player rides a bike! Oh how I wish there were more of them who could see the immense benefits! Read this article about how Kellen uses his bike to stay in shape, and to keep his knees strong without the stress.